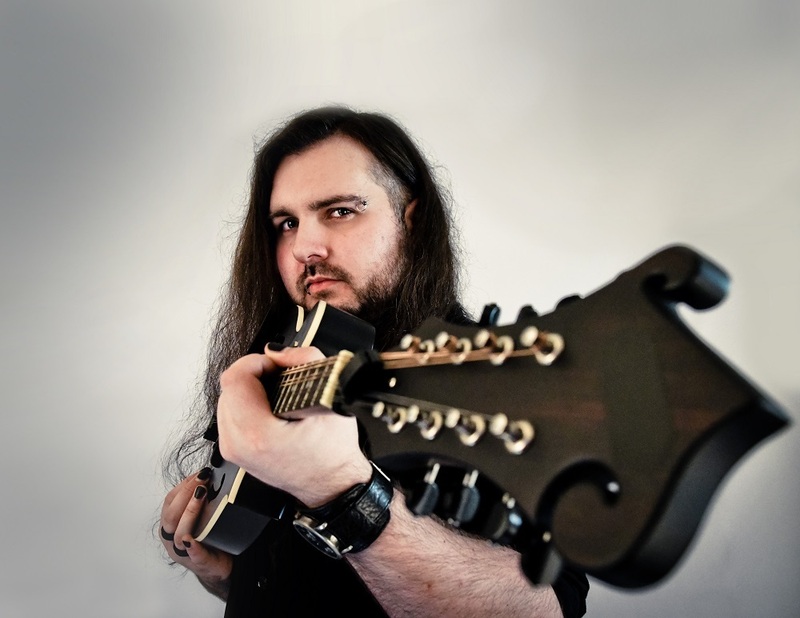 Glasgow-based singer/songwriter Scott Simpson’s solo acoustic project Sapienn debuted with EP ‘Hours Of Despair’ in 2016. This year he’s released album A Black Sarcasm and has performed tirelessly throughout the year. We spoke to Scott about his project. I’m still a metalhead at heart, and I adore darker stuff from the 80’s and 90’s, so that definitely affects the way I put songs together. I definitley responded to music from an early age. There was a Dire Straits cassette in my Dad’s car that played on an endless loop. Neil Finn, Steven Wilson, and Jerry Cantrell are all major influences. They’re all from bigger bands that I love, but have elevated themselves with fantastic solo material. Some sort of Alternative Folk maybe? I’m effectivly writing pop songs with a darker tone. I’m still a metalhead at heart, and I adore darker stuff from the 80’s and 90’s, so that definitely affects the way I put songs together. I find it exciting, being able to imagine something and make it tangible. I’d just as happily be a artist or designer - if I had those skills. Music just happens to be my thing. I imagine it like building a model aeroplane. I like piecing it together. You released EP ‘Hours of Despair’ last year. What response did it get? My first EP was really just an experiment to see what I was capable of. I spent most of my time writing in bands and didn’t start making music on my own until I turned 30. I released the EP without any real fanfare and just shared it with friends and family. I was happy with the result, and got a lot of encouragement, so decided to see where I could take it. Hopefully people will revisit that release once they’ve heard my new album, and be able to hear a progression there, and better understand what I was trying to do. Tell us about your debut album A Black Sarcasm. What’s it about? Initially, A Black Sarcasm was my attempt to expand on what I’d already started with. More than a few people who saw me play my earlier material live had suggested the songs would benefit from a full band. While I didn’t have any interest in working with others at the time, I definitly wanted to play with that idea on record. So I ended up approaching the whole recording process as a challenge. I decided to play every instrument on the record from top to bottom, as well as recording, mixing, producing and engineering everything on my own. Like my first release, it was an experiment to see what I’m capable of. Over what period of time did you write it and where did you record it? It was written early 2017 and recorded later in the summer. The whole thing was recorded at home on an aging 16 track digital recording unit. No cutting and pasting. If a bus drove past, it’s on the record. Which song was hardest to finish? The third track, ‘I’ll See You in the Woods’, was played as one long take. It took several tries to get though it without any obvious mistakes (Yet another way of challenging myself). It’s got a live feel, so it’ll always be imperfect. It not as polished sounding as the other tracks, but that’s what I like about it. Which song - or songs - are you most proud of? ‘Opposite Corners’ is probably my favourite track on the record. It’s the first song I wrote on mandolin, which I just began learning at the start of the year. It started out small, but once I started to layer up more and more instruments around it, the song became something much bigger. How does A Black Sarcasm build on your EP? The EP is a snapshot of the person I was in 2016. The new album is a snapshot of the person I was in 2017. I’m hoping to be a slightly happier person in 2018! What are your hopes for A Black Sarcasm? I released my first EP under the radar, and wasn’t concerned with how many people might hear it. This time around I’m keen to open up and put my music out to a wider audience. Maybe even create a following? I’d love to take a guitar and hop on trains up and down the UK, but for the time being I’m concentrating on central Scotland, until I find that following. For the rest of the year I’ll be dropping in on open mic shows in Glasgow and Edinburgh and everywhere in between, trying to reach the milestone of 100 shows (currently in the high 90’s). Into 2018 I’ll be headlining Glasgow’s Classic Grand in February. I recent years I’ve become a massive fan of Frank Turner and his diy work ethic. I think we share the same Punk/Metal influences so it would have to be something heavy. I didn’t start singing seriously until after I turned 30. In hindsight, I would have started writing as a solo artist much earlier. I would tell myself to have more confidence! Listen to Sapienn on SoundCloud below. For news and tour dates go to sapienn.com.